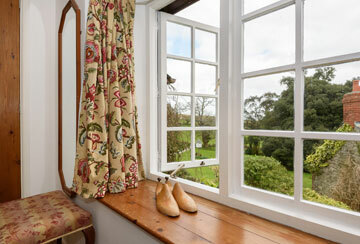 This cottage has magnificent views down across the extensive grounds and parkland. It is fenced with a pretty garden with clematis and other climbers against the walls. A large lawn makes it safe for children and pets. Ideal to sit and eat outside under the arbour and enjoy the peace and quiet and the lovely view. 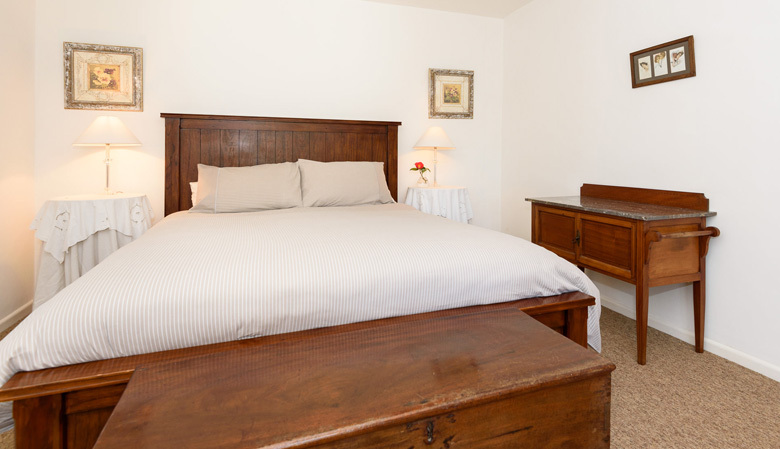 Downstairs :Well equipped kitchen in pine with antique dresser, dishwasher, fridge-freezer, washer/dryer, microwave, electric cooker, coffee maker and farmhouse table. 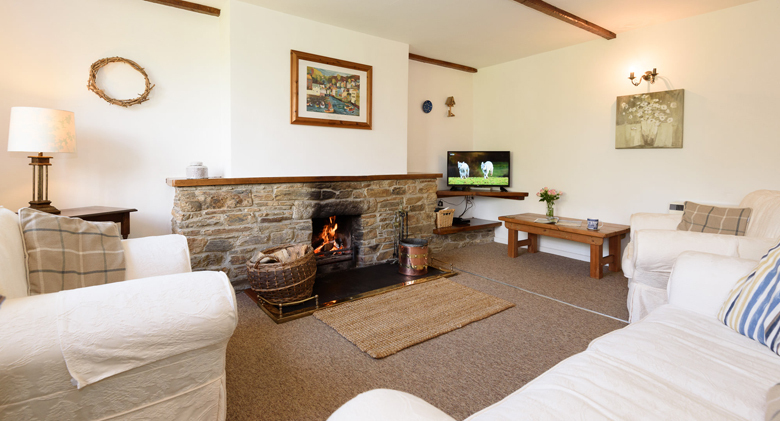 The sitting room includes an open log fire, smart TV/DVD and a comfortable three piece suite. Upstairs: Bedroom 1 with Edwardian inlaid king size bed. 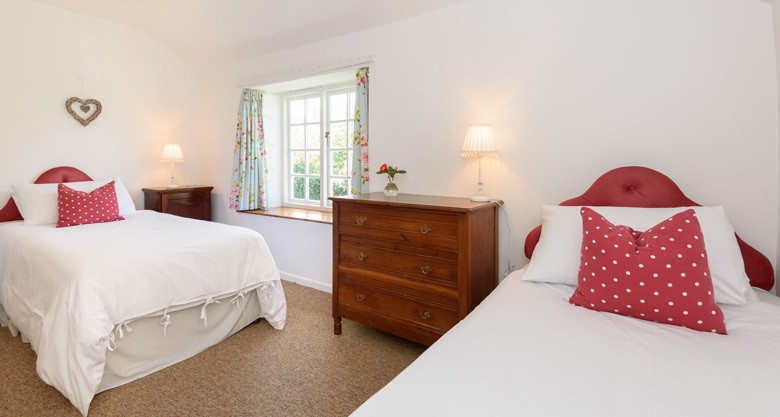 Bedroom 2 with two single beds. 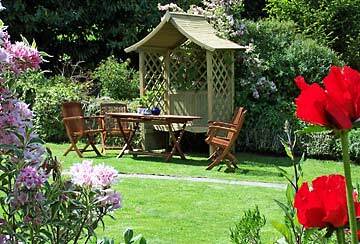 A private, fenced individual cottage garden with lawns, awash with colour from the borders and creeper that adorn the walls.Quality garden table and chairs are provided perfect for a sundowner. A flat screen smart TV, DVD and digital radio. 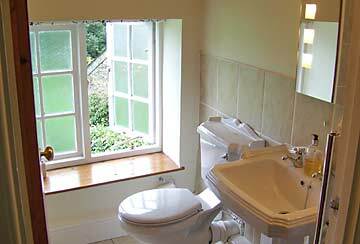 Electricity and electric heating included in the price.